Well, let me tell you, there’s a faint buzzing sound and a trail of dead wasps in our wake this morning, ‘cos we just made #5! Get Sugar & Spice now! : STILL only $0.99c/£0.71p! I’m rather pathetically pleased to be the first to ‘like’ this post! Oh, and I really DO like it. Very few reading this post will fully understand the extent of your success. 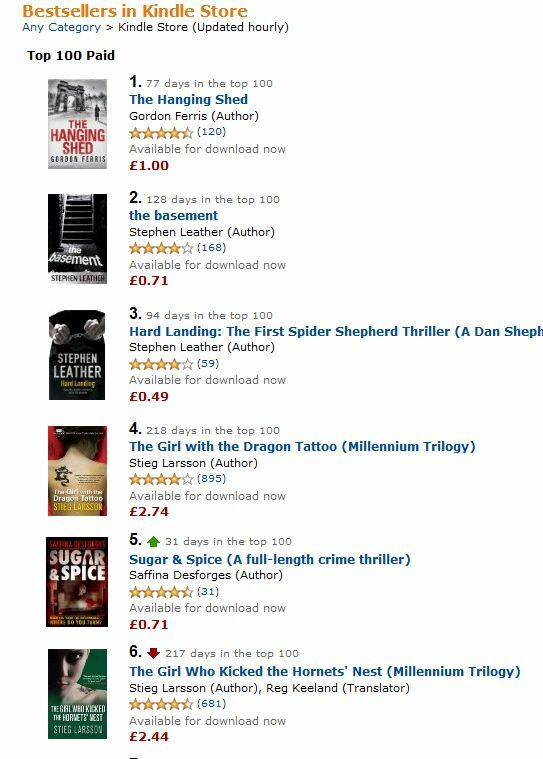 My own book once reached number 15, being in the top 5 is a massive achievement. Just look at the books around you, all books I’ve read, and remember you’re there on merit. I’m constantly recommending your book – I’m telling you this so that when you climb even higher, and you will, some of the credit will go to me! Fabulous news, great achievement, richly deserved.